With Comic-Con in town and costumed characters taking over Downtown San Diego, we thought it might be a good time to examine biotech in pop culture, and how pop culture can be used to engage students with science. Classic horrors like Frankenstein and The Island of Dr. Moreau show that scientists blurring the lines between life and death, or human and animal, have terrified audiences for generations. Radiation-induced monster growth was once a staple of 1950s cinema, reflecting the fear of nuclear annihilation. Recently, cloning and genetic manipulation have taken over the screen as vehicles for our hopes and fears about science, from thoughtful explorations of genetic engineering, like Gattaca, to comedies like Multiplicity, and absurd horrors like Sharktopus and Black Sheep. Even CRISPR, the revolutionary technique for precision genome editing, has made its Hollywood debut. 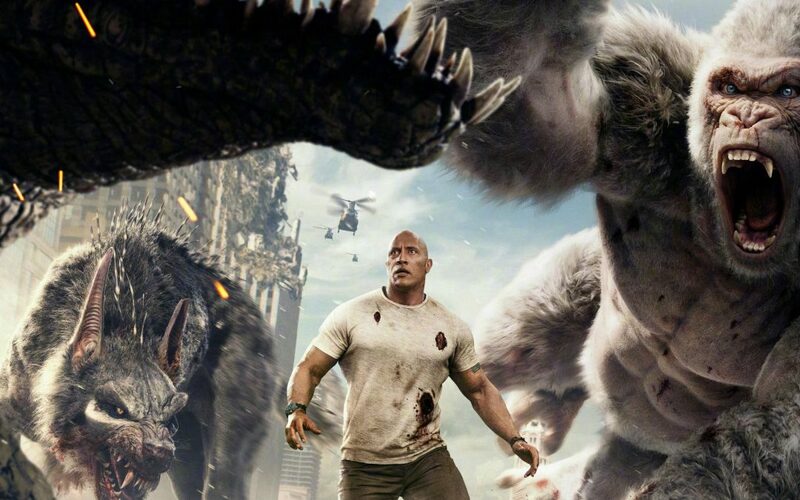 In Rampage, starring Dwayne “The Rock” Johnson, a gorilla, a wolf, and an alligator ingest vials of CRISPR, causing giant growth and extreme aggression. Although these tales often play fast and loose with the science, going far beyond the plausible for dramatic effect, they can serve as a starting point for educators wishing to discuss these issues and correct misconceptions. This science-based review of Rampage explains why CRISPR is unlikely to create giant animals that destroy Chicago, and an article by Michael Clark at the Wellcome Trust takes on genetic distortions in movies more generally. NC BioNetwork has found a fun way to engage students in hands-on genetics by drawing a scenario from Jurassic World: Fallen Kingdom. Students investigate which animal species contributed DNA to the genetically engineered hybrid dinosaur Indominus rex, a monstrous creation that has escaped its enclosure. 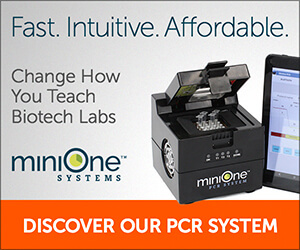 The five DNA samples from the MiniOne DNA Fingerprinting MiniLab serve as the Indominus rex DNA sample and samples from four other animals. Here at MiniOne Systems, we are delighted when teachers creatively adapt our kits for their own lessons. The original scenario for the DNA Fingerprinting MiniLab asks students to determine the paternity of a baby whale by comparing banding patterns on an electrophoresis gel between mother, baby, and three possible fathers. But for teachers who want to create their own exercise, the five DNA samples can be repurposed for many narratives, including pop culture-inspired activities. Students could investigate the genetic origin of a superhero’s powers, or a virus that is turning people into zombies. A more realistic, though non-cinematic, activity could have students determine which dog breeds are the ancestors of an adopted puppy. You could even ask your students to come up with their own scenarios! As science advances, monster movies are sure to keep up, playing on our latest fears for thrills and drama. But what about real monsters? A team of researchers is using environmental DNA to survey all species in Loch Ness. That would include any giant prehistoric reptiles, if they exist!